I am VERY new to Linux, so if I may ask for a bit of patience, please. I installed Linux Lite a couple of days ago and so far I have had a couple of issues with connecting my external monitor (TV) via HDMI. After many hours reading on forums and some tinkering, I changed the resolution in the terminal to what the TV seems to prefer, but now the TV is not playing sound. 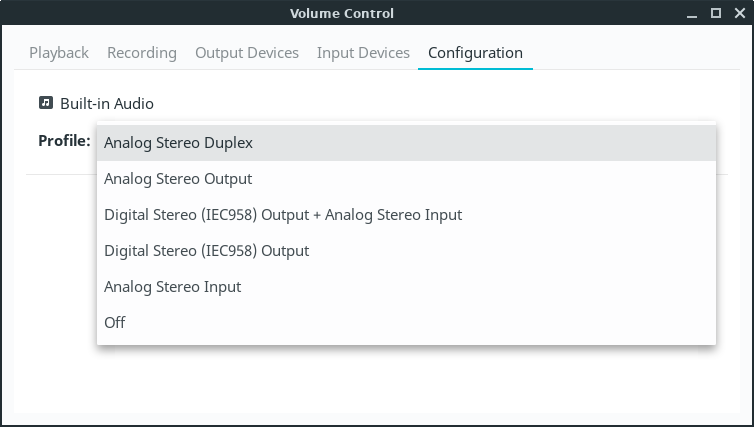 The Volume Control configuration is not even recognizing the HDMI, only showing what you see in the screenshot. I have tried installing the newest AMD driver thinking maybe it's the driver not recognizing the HDMI port/connection properly, but I failed. I wouldn't be bothering you good people, but I am really truly stuck. Please help, if you can.